Nach EU-Recht muss ich darauf hinweisen. Ebenso wird die ersteigerte. Deshalb findet das EU-Recht hier keine Anwendung. 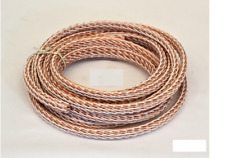 Kimber Kable 4 PR Lautsprecherkabel 10,00 m lang konfektioniert mit 2 Aderendhülsen, eine Seite fehlt. Deshalb findet das EU-Recht hier keine Anwendung. Nach EU-Recht muss ich darauf hinweisen. Deshalb findet das EU-Recht hier keine Anwendung. Nach EU-Recht muss ich darauf hinweisen. KIMBER 8TC. Questo cavo è formato da sedici conduttori TCSS, otto trasparenti e otto bianchi, intrecciati secondo la tecnica Kimber. Il dielettrico isolante è Teflon ottenuto tramite estrusione a bassa temperatura e ad alta pressione. Kimber 12TC. Questo cavo è formato da ventiquattro conduttori TCSS, dodici trasparenti e dodici bianchi, intrecciati secondo la tecnica Kimber. Il dielettrico isolante è Teflon ottenuto tramite estrusione a bassa temperatura e ad alta pressione. KIMBER KABLE 8PR. Tecnologia Varistrand. SPADE (1/4") SPADE (1/4"). Bare Wire Bare Wire. Connector Options. KIMBER KABLE TONIK ULTRATIKE RCA. Tecnologia VariStrand. Single Ended. KIMBER KABLE HERO UP BLACK RCA. KIMBER KABLE 4TC. Clean, clear sound from one of our most accurate speaker cables. 4TC is a great choice for small monitors in a dedicated two channel system. Known for it’s neutral sound these cables will shine a light on all your systems capabilities. 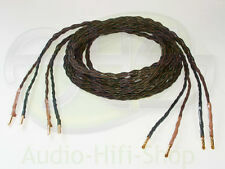 Kimber Kable Cavo coassiale a 75 ohm, 1,5 mt. 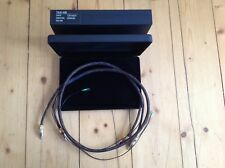 KIMBER KABLE TIMBRE ULTRAPLATE RCA. KIMBER KABLE TIMBRE ULTRAPLATE RCA Electrical Specifications. Single Ended. KIMBER KABLE CADENCE. Intreccio GyroQuadratic. KIMBER KABLE 4-PR. L'originale Kimber Kable. accuratezza, pacing, imaging adeguato sono i suoni caratteristici di 4PR. Tecnologia Varistrand. SPADE (1/4") SPADE (1/4"). Bare Wire Bare Wire. Connector Options. KIMBER KABLE PBJ ULTRAPLATE RCA. KIMBER KABLE PBJ ULTRAPLATE RCA SPECIFICS. PBJ è diventata un classico con prestazioni che continuano ad essere ineguagliate dai cavi concorrenti. KIMBER KABLE V21-114. Electrical Specifications. What started out as a simplification of the many 4TC/8TC biwire requests 12TC was born to pump high current amplifier muscle into demanding speaker loads. 2 x 8 awg conductors. KIMBER KABLE 12TC. Tecnologia Varistrand. KIMBER KABLE 8VS. Big, bold sound with an ability to soften harsh systems or recordings. 2 x 9 awg conductors. Tecnologia Varistrand. Electrical Specifications. KIMBER KABLE CADENCE. Per definizione, una cadenza è qualsiasi luogo in un brano musicale che abbia la sensazione di un punto finale. Intreccio GyroQuadratic. KIMBER KABLE 4VS. Un vero affare audio. 2 conduttori di 13 awg. Tecnologia Varistrand. SPADE (1/4") SPADE (1/4"). Bare Wire Bare Wire. Connector Options.